Cica 1982. Two guys started a business, providing a service to rural Manitobans. That was the easy part. Then there was the paperwork. Everything was done by pen and paper. Scribbling down telephone messages and notes about conversations. Writing out quotes and estimates, totaling with the calculator and checking the tape to make sure there were no errors. Writing out work orders by hand. Making out invoices, again with the help of the calculator. Ordering materials and inventory over the phone. Manually counting and recording inventory. Writing cheques. Calculating payroll. Entering it all into “the books” by hand, calculator again. It was a lot of “10 hours a day in the field, and then 3 more in the office.” And Saturday was a usually paperwork catch up day. Not unique, this was the everybusiness story back then. Circa 1983. We spent $4,000 on a PC. It was a big investment, and there were no IT Consultants back then, so we took it upon ourselves to find ways to use that PC to reduce the time we spent punching that calculator, ways to make our business more efficient. Fast forward to today - the business has grown by a factor of 10, operating in 5 provinces, with several more businesses added and managed out of the same office. Here’s the kicker. Over the same period, administrative support staff has grown by a factor of 2. If you run a business, you don’t need me to join those dots to the bottom line for you. The enabler here is technology that supports the operation; getting a whole lot more done in less time. Whatever widget you provide, manufacture, sell, or service - efficiency in the back end allows you to scale exponentially in the front end - the customer facing side. Increase revenue, customer satisfaction, and employee productivity while holding the line on expenses. One of the two guys that started that business in 1982 was me. The guy that designed, installed, configured, and maintained that IT infrastructure is me. And I still do so, for firms in financial services, manufacturing, construction, transportation, business services, sports and entertainment businesses, as well as non-profit organizations. It’s aways done with a view to the bottom line; if it doesn’t drive the business forward, it’s not worth doing. Along the way, I’ve picked up some knowledge, experience, clients, and a network of colleagues from around the world to share and collaborate with, bringing the best solutions forward to support local businesses. I’m passionate about small business. I could actually care less about technology, if it weren't for the fact that applied correctly, the right technology is essential to a good business becoming a great business. Alas, applied incorrectly, it can be a heavy anchor. There are an abundance of IT technicians with little to no business acumen. I’m not one of them. My clients find that unique, and refreshing, and of considerable value. You might as well. 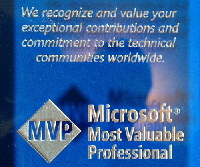 2001-2011: Microsoft MVP for Small Business Server, the 6th MVP awarded worldwide and first in Canada. 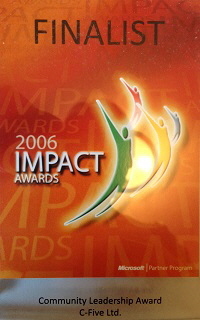 2010: SMB 150 Award - top 150 SMB IT influencers in the world. 2019: I’m largely retired, but try me anyway ;-).